Silver Birch Projects Ltd - Builder, Kitchens, Plasterer, Windows/Doors/Conservatories based in Hainworth, West Yorkshire. Welcome to our page and thank you for taking the time to view our profile. 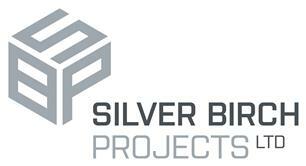 Silver Birch Projects is an ever-growing company with over 32 years of joint experience in the building industry. Based in the heart of West Yorkshire but covering the whole of the UK we can help you wherever your project is. Our commitment to customer service and delivering high quality work has enabled us to expand as a company to cover commercial, domestic residential & rental investment properties as well as a sizeable amount of insurance work. With a wealth of knowledge following its inception, Silver Birch Projects was realised to offer a fresh, dynamic and bespoke service in line with current building industry standards. Supported by an experienced, passionate team, we focus on exceeding all our client needs with a dedication to customer satisfaction. For a free no obligation quote please call us on: 01943889456.